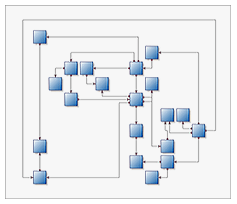 The industry leading .NET diagramming component for WinForms desktop applications. An advanced solution for any desktop application that needs to display interactive flowcharts, diagrams and maps. Nevron WinForms Diagram sets the standards for WinForms diagramming controls by delivering advanced features, rich interactivity and impressive visual looks. The WinForms Diagram control will enhance your .NET desktop applications by adding intuitive, user-friendly and interactive diagrams. Extend the Diagram to provide sophisticated graphs for your specific business needs. 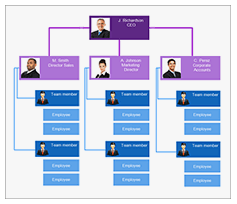 Nevron Diagram is suitable for displaying Flow Charts, Organizational Charts, Maps, Visio-like diagrams, Process Control Diagrams, HMI Interfaces and other business diagrams. The component can generate complex diagrams directly from your data and automatically layout them. Ready to use Controls - the WinForms Diagram comes equipped with several ready to use controls, which can help you create a standalone diagramming application in minutes. Diagram Tools - the Diagram takes a radical approach towards processing the user gestures in both drawing and library views. All UI events are processed via tools, which are maintained by a controller, assigned to each view. This helps you easily configure the way, in which the user interacts with your diagram. 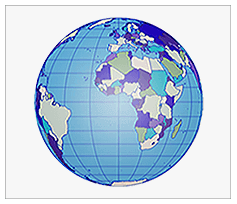 Advanced Visual Aids - the Diagram has the industry leading support for visual aids like: Previews, Snapping, Grid and Rulers, Auto scrolling. We are very pleased with our decision to use Nevron. The diagram product is excellent and the support outstanding. To successfully implement an extensible diagram based simulation platform, we needed a versatile, well structured and proven diagram platform. Nevron Diagram proved to be all of this and more. Since we selected Nevron Diagram as our diagram platform, we haven't looked back.